Thanks to your support, I am nearly 40% of the way towards success at my crowdfunding drive. But with only five days left on the clock, I'm going to need everyone's help if I'm to be succesful. Please visit my page at Experiment.com and consider offering your support! Freshwater crab Potamon ibericum, copyright Philipp Weigell. Crabs are among the most recognisable animals one can find at the sea shore; any child who spends time at the beach will soon come to recognise their brandished pincers and sideways walk. But, as has been discussed by this site before, crabs are not only a coastal phenomenon. 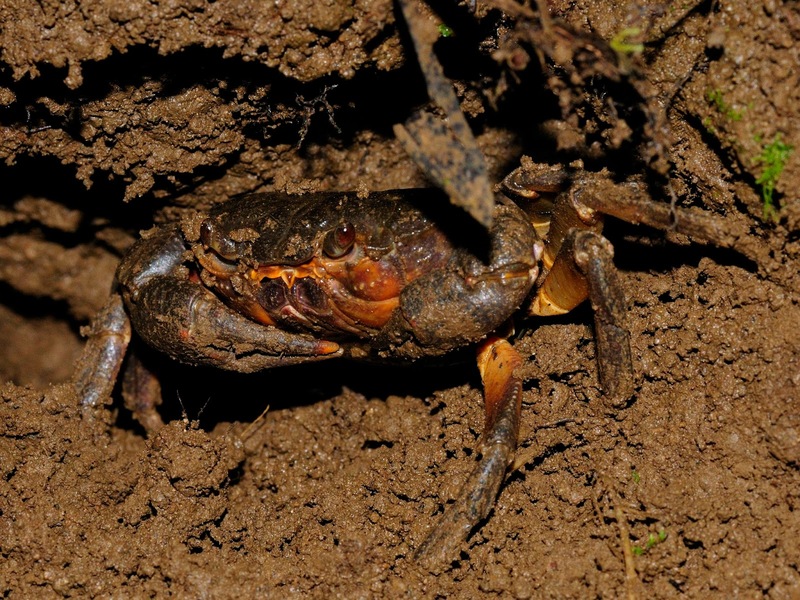 In warmer parts of the world, it may be possible to find crabs some distance inland. Interestingly enough, there is at least circumstantial evidence that crabs made their way into fresh water relatively recently. The Old and New Worlds are each inhabited by a completely independent lineage of freshwater crabs that presumably originated after these continents went their separate ways. In the tropical Americas, rivers and streams are home to the Trichodactylidae, close relatives of the marine swimming crabs of the Portunidae. In the Old World, comparable habitats shelter a distinctly freshwater lineage comprising the superfamilies Gecarcinucoidea and Potamoidea. 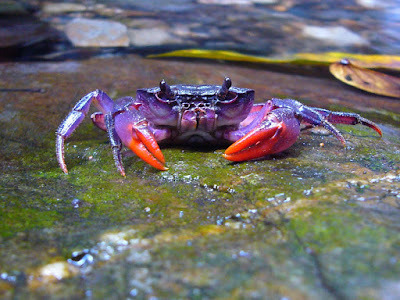 Freshwater purple crab Insulamon palawanense, copyright Jolly Ibanez. The classification of Old World freshwater crabs has (as with almost every other taxonomic group on this planet) shifted around a bit over the years. Many older references will combine all the Old World freshwater crab families into the Potamoidea but some more recent authors have tended to restrict this latter group to a single family, the Potamidae. There are other families, such as the African Potamonautidae and Deckeniidae, whose position superfamily-wise appears to be debated. The differences between the superfamilies Potamoidea and Gecarcinucoidea are primarily expressed in the structure of the males' second gonopods, the modified legs that the crabs use in transferring sperm during mating (Brandis & Sharma 2005). In the Gecarcinucoidea, a basal projection of the second gonopod surrounds the main body like a funnel for much of its length, while the tendril-like distal projection past this funnel is grooved and open on one side. In the Potamidae, the covering projection is restricted to the dorsal side only, and the distal part of the gonopod forms a closed tube. Socotra limestone crab Socotra pseudocardisoma, copyright Gaëtan Rochez. The Potamidae are most diverse in the Oriental bioregion with over seventy of the nearly eighty recognised genera being found there (Yeo et al. 2008). A couple of genera are found in the Afrotropical region. Only one genus, Potamon, makes it to Europe with modern species found in Italy and the Baltic peninsula, though the fossil record indicates a broader distribution on this continent in the past (Klaus & Gross 2009). Potamids are found in all types of water bodies, from fast-flowing streams and rivers to calm lakes and ponds, though they are inhabitants of the littoral zone rather than deep waters. The distinctive species Socotra pseudocardisoma is found on semi-arid limestone uplands of (surprisingly enough) the island of Socotra. 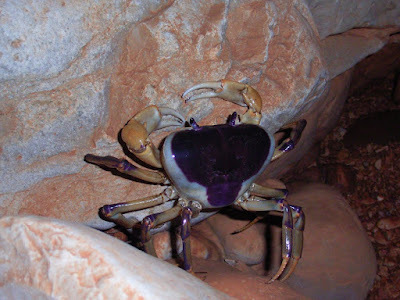 Crabs of this species spend most of their time sheltered within cracks and crevices in the rocks that remain reasonably cool and damp year-round; they only emerge to the surface to forage during the rainy season while the surface briefly holds pools of standing water (Cumberlidge & Wranik 2002). Another unusual lifestyle is found in a recently discovered species of the family Potamonautidae. This species from the Usambara Mountains of Tanzania specialises in living in phytotelmata, pools of water that accumulate in hollows in trees (Bayliss 2002). 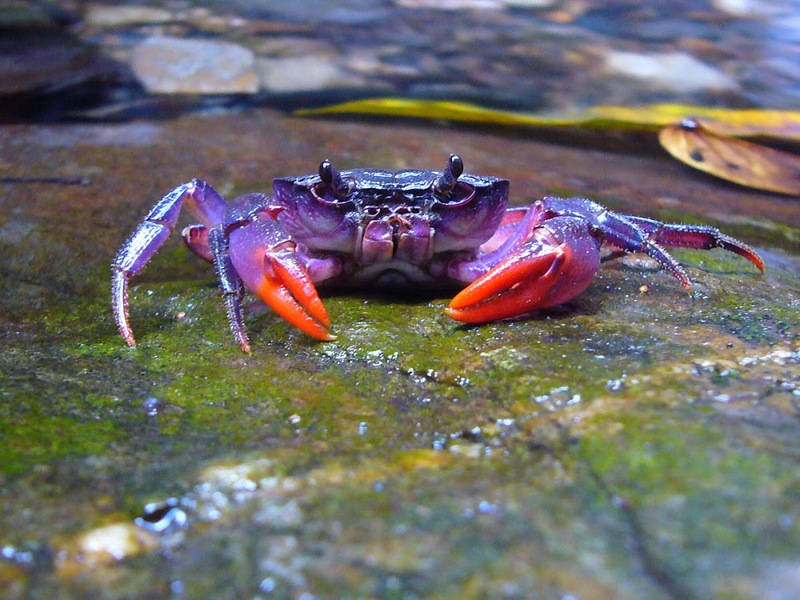 Though phytotelmata allow the crabs to inhabit regions of the rainforest that might otherwise be off limits, they are not the most forgiving of habitats. The combination of their small size together with an accumulation of organic matter means that the water in them tends to be quite acidic, a definite problem for a crab that relies on its calcitic exoskeleton for protection. The crabs feed on snails found in litter of the rainforest floor, and emerge from their home hollows to hunt at night or on cloudy, wet days. After eating a snail, they carry its shell back with them to their phytotelma and drop it in. The lime from the snail shell helps to neutralise the acidity of the water in the phytotelma, as well as supplying much-needed calcium that the crab will itself absorb when the time comes for it to moult to a new exoskeleton. 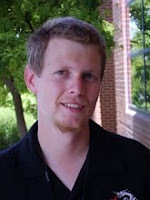 Bayliss, J. 2002. The East Usambara tree-hole crab (Brachyura: Potamoidea: Potamonautidae)—a striking example of crustacean adaptation in closed canopy forest, Tanzania. African Journal of Ecology 40: 26–34. Brandis, D., & S. Sharma. 2005. Taxonomic revision of the freshwater crab fauna of Nepal with description of a new species (Crustacea, Decapoda, Brachyura, Potamoidea and Gecarcinucoidea. Senckenbergiana Biologica 85 (1): 1–30. Cumberlidge, N., & W. Wranik. 2002. A new genus and new species of freshwater crab (Potamoidea, Potamidae) from Socotra Island, Yemen. Journal of Natural History 36: 51–64. Klaus, S., & M. Gross. 2009. Synopsis of the fossil freshwater crabs of Europe (Brachyura: Potamoidea: Potamidae). N. Jb. Geol. Paläont. Abh. Yeo, D. C. J., P. K. L. Ng, N. Cumberlidge, C. Magalhães, S. R. Daniels & M. R. Campos. 2008. Global diversity of crabs (Crustacea: Decapoda: Brachyura) in freshwater. Hydrobiologia 595: 275–286. To your knowledge has the "East Usambara tree-hole crab" been formally described yet? It is always so frustrating when a species has been researched well enough to publish findings concerning its life habits, yet it remains undescribed for years! 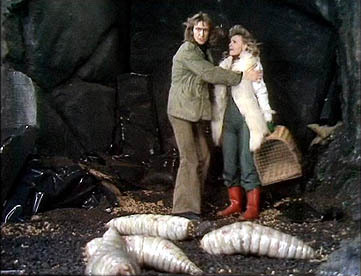 But I suppose that's the nature of taxonomy. Looks like it was dubbed Potamonautes raybouldi in this publication, but I don't have access to check the details. Terrestrial crabs were a fairly common component of Hawaiian forests, supposedly the species on Moloka'i survived until relatively recently. Sally lightfoot derivaties if I recall, or something similar. But alas, like most everything here... all are now extinct.